GSA Schedule 871 was designed to enhance the access by the U.S. government agencies to a vast range of professional engineering services (PES) from qualified firms. The schedule is supposed to offer clients the full advantage of flexibility and convenience for the purchase of professional engineering services and custom solutions. The schedule defines its versatility across various government contracts through the special item numbers that designate the different areas of professional interest. Some of the areas include civil engineering, mechanical, chemical, electrical, aerospace, bioengineering, marine architecture, nuclear and fire protection. In general, GSA Schedule 871 requires the provision of customer-focused programs that align with the specific missions and objectives of the contracting agency. Proof of professionalism and experience are necessary for this schedule for the important reason of safeguarding quality. GSA Schedule 871 was designed for firms that work in the engineering disciplines. Usually, whenever federal agencies wish to contract external firms to perform high-value services, they rely on this particular schedule because it is structured to ensure merit and utmost professionalism. Firms that aspire to qualify for this schedule must demonstrate an assurance of strict quality standards and a cost-effective approach to service delivery. Doing business with any federal agency under GSA Schedule 871 entails multiple advantages. The first advantage relates to the time factor. The specifics of business details under the schedule are usually predetermined. Once a firm secures the contract, less time is spent on the logistics and other business matters because they are already handled within the structures of the contract. The contracts under this schedule are less susceptible to the risks of market dynamics since the pricing details are already set. GSA Schedule 871 has the advantage of transparency, which every business needs for the purposes of stability. The schedule is also flexible and empowers the planning and decision-making stages of the business because of the clarity of information. 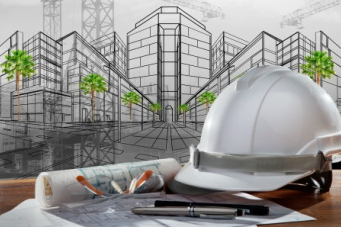 Overall, GSA Schedule 871 is ideal for contractors in the engineering field because it narrows their focus on particular areas of interest that align with their respective capacities. Most importantly, this type of contracts has the assurance of stability that spurs the confidence of the contracted firms in times of market instability. Firms that work on the schedule have a higher chance of growth as compared to those that are contracted by commercial dealers. In fact, there is always the advantage of consistency in the supply of work once a firm secures the schedule. In the long term, the conditions that qualify a firm to contract with the government shores up its brand, market standings, and brand image, which translate into a profound competitive advantage. The schedule requires the fulfillment of particular thresholds that determine eligibility. The application process requires the completion of various GSA application forms, which must be verified by the relevant authorities. Firms that wish to get a GSA schedule must also submit electronic catalog files to GSA and provides some specific reports about the nature of their operations including the sales data. The schedule application, which is also known as solicitation entails a request for proposal and includes information about the kind of products and services that the applicant can offer under the schedule. The applicant must find the GSA Schedule Solicitation number and paste it in the “keyword/solicitation” field that features on the fedbizopps site. This step allows you to download the appropriate solicitation files to complete the application process. It’s quite a cumbersome process if you have never done it. If you need help getting on GSA Schedule 871, contact GSA Scheduler.